We are excited to announce that Literacy Lab has returned for the 2018-2019 school year. 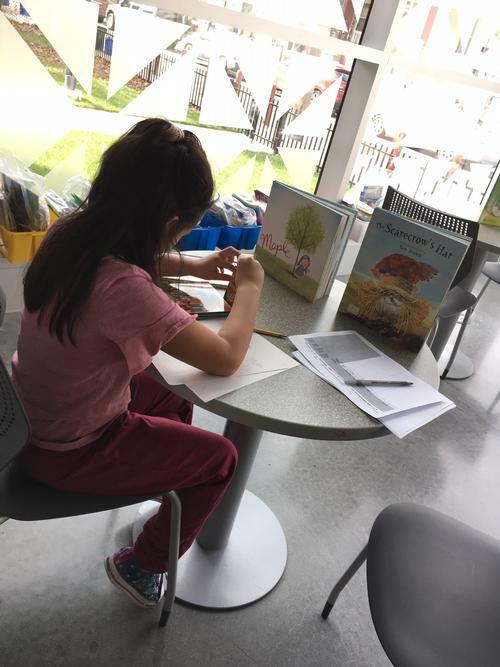 Literacy Lab, previously piloted as the Sunday Literacy program during the 2016-2017 school year, provides small group literacy instruction for students in 1st to 3rd grade who struggle to read on grade level. The Literacy Lab program will consist of Read Aloud, Writing Activities, Independent Reading, and other Literacy Activities. Literacy Lab will take place on Saturdays or Sundays in Free Library locations around the city. Each Saturday or Sunday program will offer two, 1.5 hour sessions. Sessions on Saturday will take place from 12:00 - 1:30 p.m. and from 2:00 - 3:30 p.m. Sessions on Sunday will take place from 1:15 - 2:45 p.m and 3:15 - 4:45 p.m.
Lit Lab started Saturday, November 17 at Independence Library, Kingsessing Library, Logan Library, McPherson Square Library, South Philadelphia Library, and Tacony Library, and started Sunday, November 18 at Joseph E. Coleman Northwest Regional Library and Lucien E. Blackwell West Philadelphia Regional Library. Literacy Lab will be every weekend until May 18 and 19, with the exception of December 22, 23, 29, 30, and April 20 & 21. Registration is required for this program but students can be reigstered at the beginning of any session. Additionally, caregivers are expected to remain present at the library, but are not required to participate. Literacy Lab will also begin at Northeast Regional Library (2228 Cottman Ave.) on Jan. 5, 2019. Do I have to sign my son up or can we just come. Is Literacy Lab offered at Eastwick Library on Island Avenue in Philadelphia? If not, will it be offered in the very near future?